For the Northern Irish footballer, see Tommy Finney. Sir Thomas "Tom" Finney, CBE (5 April 1922 – 14 February 2014) was an English footballer, famous for his loyalty to his League club, Preston North End, for whom he made 569 first-class appearances, and for his performances in the England national side. Finney was President of Kendal Town. For his charitable work, he was appointed an Officer of the Order of the British Empire (OBE) in the 1961 New Year Honours and a Commander of the Order of the British Empire (CBE) in the 1992 New Year Honours and was knighted in the 1998 New Year Honours. 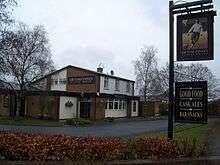 Finney was born at home in Preston on a street next to the Deepdale stadium to Margaret (née Mitchell) and Alfred Finney. He was frail and somewhat sickly in his youth and stood only 4 ft 9 in (1.45 m) at the age of fourteen. When he was offered the opportunity to sign for Preston North End, his father insisted that he complete his apprenticeship in the family's plumbing business before signing as a professional. His mother died in 1927, aged 32. Finney was married to Elsie (née Noblett) from 1945 until her death in 2004. She suffered from Alzheimer's disease, which led Finney to be a strong supporter of the Alzheimer's Society. They had two children: a son Brian (born 1947) and a daughter Barbara (born 1950). Soon after Finney signed, however, the Second World War began and normal football was suspended, though Finney started to achieve some recognition during wartime tournaments. In December 1942, he made a guest appearance for Southampton in a 3–1 defeat by Arsenal at The Dell. Called up to serve in the Royal Armoured Corps in 1942, Finney fought in Montgomery's Eighth Army in Egypt and later in Italy in the final offensive to capture Argenta in April 1945 as a Stuart tank driver in 9th Lancers. Local leave in North Africa allowed him to play in army teams against local opposition, and on one occasion he played against the future actor Omar Sharif. Once normal competition was restored, Finney made his debut for Preston in August 1946 and soon established himself as an agile forward. Post-war demand for plumbers ensured that he had a second income to supplement the £14 he received as a footballer and was nicknamed "The Preston Plumber". Such was his influence on the team that Preston were, rather unfairly, known to some as "the Plumber and his 10 drips". Twenty-eight days after his first Football League appearance for Preston, and aged 24, Finney made his England debut against Northern Ireland in Belfast, scoring once in England's 7–2 victory. Finney referred to this as his "proudest day as a footballer". He went on to win 76 caps and score 30 goals in an England career that spanned 13 years and included 51 victories. In 1952, Preston's chairman Nat Buck rejected an offer for Finney worth £10,000 over two years from Italian club Palermo, and Finney remained a one-club player. He was voted Footballer of the Year in 1953–54, the season of his only appearance in the FA Cup Final where Preston lost 3–2 to West Bromwich Albion. He was Footballer of the Year again in 1956–57, becoming the first player to win this award more than once. Finney revealed in his autobiography that he was not fully match fit for the 1954 FA Cup Final, and therefore did not give his best performance. Finney formed an attacking partnership with Tommy Thompson in the 1950s. In the 1956–57 season they scored 57 goals altogether; in 1957–58 their combined tally was 60 goals. In June 1958, he scored his 29th international goal, against the Soviet Union to become joint England all-time top-scorer, sharing the record with Vivian Woodward and Nat Lofthouse. In October the same year, he netted his 30th goal, against Northern Ireland, to become the sole holder of the record. Two weeks later, Lofthouse equalled his tally. Both were surpassed by Bobby Charlton in October 1963. Finney's final appearance for England came in October 1958, in a 5–0 win over the Soviet Union at Wembley. Dave Whelan described Finney as the perfect gentleman, explaining that in Whelan's first game back for Blackburn Rovers after recovering from a broken leg, he had to mark Finney in a 1962 pre-season friendly against Preston. Finney said, "You've had some bad luck son, and I'm not going to take you on, I want you to get through today's game and get back into the first team." Finney retired from Preston North End in 1960, only when forced out with a persistent groin injury. He had played his entire career for his local club, making 433 League appearances and scoring 187 goals. He came out of retirement in 1963 to play for Northern Irish club Distillery against Benfica in the European Cup. The season following Finney's retirement, Preston were relegated from the top flight of English football. Finney was the subject of This Is Your Life in 1988 when he was surprised by Michael Aspel and a coach full of his former England team players in Central London. Celebrating Finney's 90th birthday in 2012, Tommy Docherty said "To me, Messi is Finney reborn." 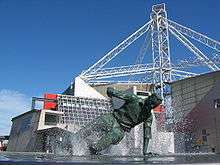 On 31 July 2004, Finney unveiled the water feature sculpture The Splash, by sculptor Peter Hodgkinson, which stands outside The National Football Museum. The sculpture was inspired by the 1956 Sports Photograph of the Year which features Finney beating two defenders at a waterlogged Stamford Bridge. Finney maintained his links with Preston North End as the club's President, and 2006 marked 60 years since his League debut for the club. To mark this occasion the National Football Museum, an organisation which he championed and with which he had close links, invited football fans to sign a specially commissioned flag which was presented to Finney at the beginning of the 2006–07 season to mark his 60 years with Preston. Finney died on 14 February 2014; the cause of death was not announced. The Football Association called him "one of England's all-time greatest players", while fellow England player Bobby Charlton said Finney's contributions to football were "immeasurable". Former team-mate and Liverpool manager, Bill Shankly, had called him "the greatest player to ever play the game" while Stanley Matthews once compared him to Diego Maradona, Pelé, George Best and Alfredo Di Stéfano. At the time of his death aged 91, Finney was one of England's oldest living former international footballers. Shankly was asked about how a top star of the day compared to Finney: "Aye, he's as good as Tommy – but then Tommy's nearly 60 now." "Tom Finney should claim income tax relief ... for his 10 dependents." (Satirical observation on the weakness of the Preston team in his absence). 1 2 "England and Preston legend Sir Tom Finney passes away". The Football Association. Retrieved 15 February 2014. ↑ Kendal Town Football Club personnel, Kendaltown.com; retrieved 23 April 2012. 1 2 "Sir Tom Finney obituary". National Football Museum. Retrieved 15 February 2014. 1 2 "Local Hero". sirtomfinney.com. Retrieved 15 February 2014. ↑ Winter, Henry (25 March 2008). "Sir Tom Finney – a survivor of a golden era". The Daily Telegraph. London, UK. ↑ Holley, Duncan; Chalk, Gary (1992). The Alphabet of the Saints. ACL & Polar Publishing. pp. 392, 394. ISBN 0-9514862-3-3. ↑ Chalk, Gary; Holley, Duncan (1987). Saints – A complete record. Breedon Books. pp. 105–106. ISBN 0-907969-22-4. ↑ "Sir Tom's life in pictures". Preston Today. Retrieved 15 February 2014. ↑ Murray, Scott (13 April 2012). "The Joy of Six: great footballers who won nothing during their careers". guardian.co.uk. Retrieved 23 April 2012. 1 2 3 "Tom Finney profile". www.thefa.com. Retrieved 7 June 2013. ↑ "Tom Finney profile". The Football Association. Retrieved 15 February 2014. 1 2 Fletcher, Paul (14 February 2014). "Sir Tom Finney: Why he remained a Preston North End legend". BBC Sport. Retrieved 15 February 2014. ↑ Videos. Trusupporter (18 December 2009); retrieved 23 April 2012. ↑ Hunter, Andy (9 March 2013). "Tearful Whelan craves Wembley chance to repair his broken dream". The Guardian. Retrieved 9 March 2013. ↑ Viner, Brian (17 February 1999). "Sir Tom the pride of Preston". The Independent. 1 2 "Lionel Messi compared to Sir Tom Finney". BBC Sport. 5 April 2012. Retrieved 15 February 2014. ↑ "The Sir Tom Finney Interview". 30 June 1999. Retrieved 16 February 2014. ↑ "A tribute to Sir Tom Finney – 60 yrs since PNE debut". 31 October 2005. Archived from the original on 10 February 2007. Retrieved 31 January 2006. 1 2 "Sir Tom Finney: Former Preston and England winger dies at 91". BBC Sport. 15 February 2014. Retrieved 15 February 2014. ↑ Dart, James; Bandini, Paolo (12 September 2007). "Who is the oldest living England international?". The Guardian. London, UK. Retrieved 19 February 2011. ↑ "Classic Football: Tom Finney". FIFA. Retrieved 5 April 2012. ↑ When Saturday Comes – The Half Decent Football Book. Penguin Books, London, UK. 2005. p. 143. 1 2 Tom Finney – My autobiography. Headline. 2003. pp. 415–19. ISBN 978-0-7553-1106-4. Wikimedia Commons has media related to Tom Finney.